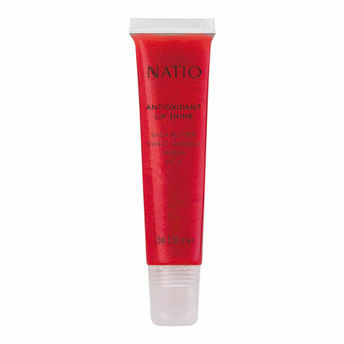 Plump up your lips with Natio Antioxidant Lip Shine. Its dual-action luminous gloss with the moisturizing benefits adds shine and nourishes the lips. Adds a luminous gloss to your lips. Keeps your lips soft supple throughout the day. Available in five subtle colors. Additional Information :Natio is one of the fastest growing beauty brands in Australian department stores and the top performing skincare and bridge makeup brand in Australian pharmacies. Explore the entire range of Lip Gloss available on Nykaa. Shop more Natio products here.You can browse through the complete world of Natio Lip Gloss .Alternatively, you can also find many more products from the Natio Antioxidant Lip Shine range.